Understanding that a great communication system is VITAL to successful customer relationships is the first step in making the decision to invest in a new and modern business telephone system. Once you have made a decision to invest, Metro-Tel Business Telephone Systems help you understand what your business needs are and what type of telephone system will best suit your company’s needs. Basic Features of business telephone systems can be customized and determined based upon predictions of growth, ROI (return on investment), future modern technology and upgrades, provider costs, and above else Service and Reliability of your telephone system provider. 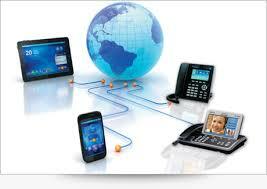 Metro-Tel offers systems that will customize to your “Basic Telephone Features” and requirements. How Clear are your Business Telephone Needs? When will you be making a Purchase? What type of Buyer are you considered? (Basic / Intermediate / Advanced)? What type of phone expansion do you foresee for the future? What type of employee data and phone connectivity do you require – mobile locations, etc? What type of billing do you require? One-time or monthly services? This makes the difference between “On-site” or “Hosted” telephone services. What critical Basic Features do you require in your business communications? Does your business have adequate personnel to manage your IT and Telephone systems needs onsite? Hidden Costs and Fees? Make sure you ask Metro-Tel about hidden costs that will affect your bottom line. Contracts for Services? Make sure you thoroughly understand your contract for services. All of these questions will be met with honest answers founded in YEARS of experience and backed by praised Customer Service and References. Let Metro-Tel be your guide through this critical business investment – it is our Mission Statement to provide the best Buying Experience for buying a new telephone system in Dallas, Fort Worth, Arlington, Mid-Cities and surrounding areas. You will not be disappointed!